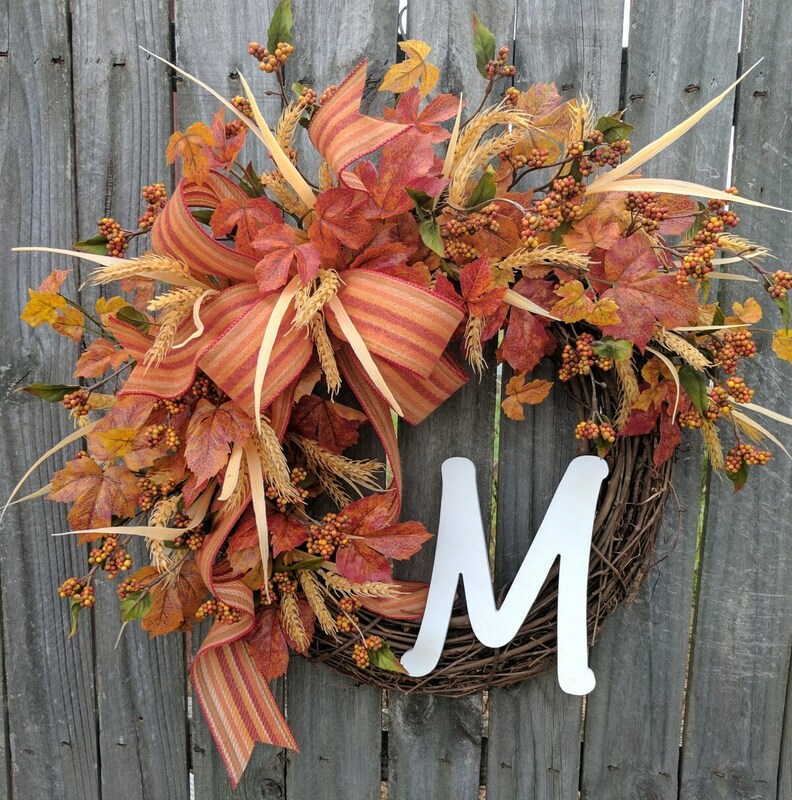 This beautiful wreath is characterized by life-like leaves in lovely fall colors. 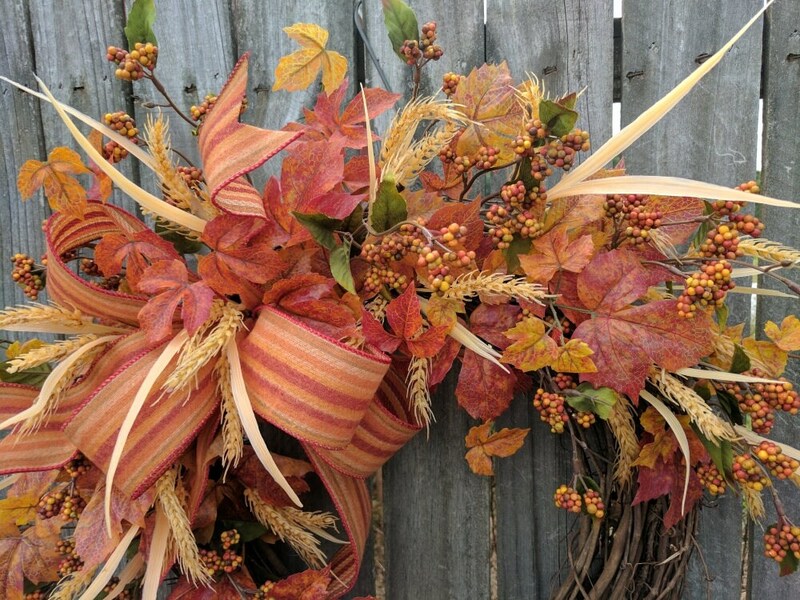 A wired woolly bow, pvc wheat, and rich berries complete the look. 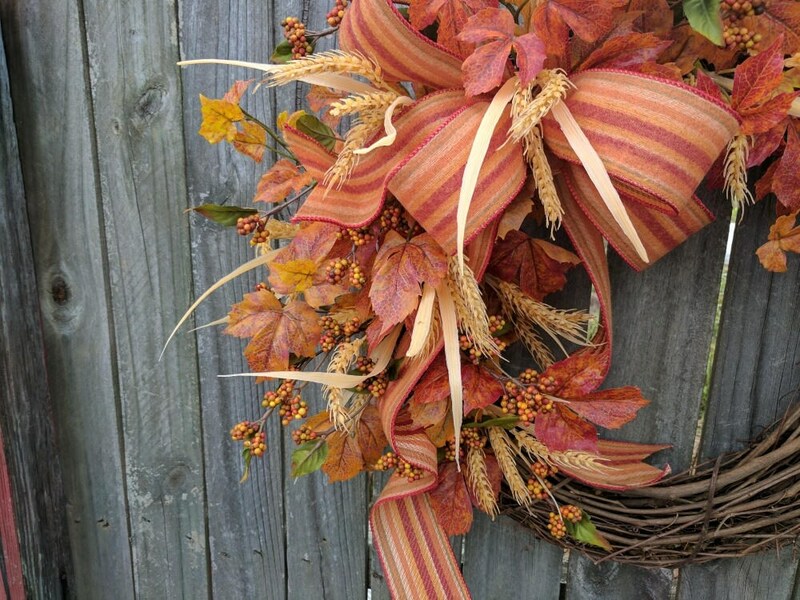 The wire in the ribbon allows for easy re fluffing from year to year. 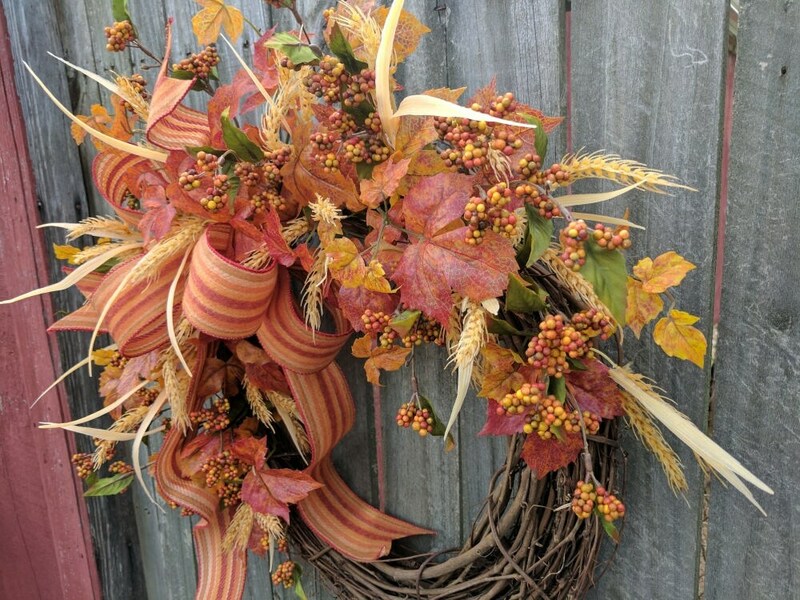 This is a perfect harvest time decoration! 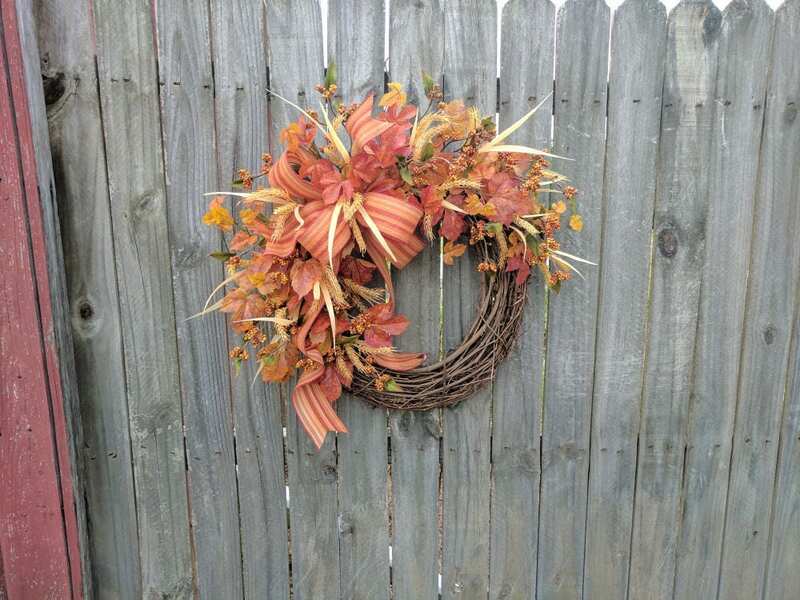 This wreath was made on a grapevine base measuring about 18". 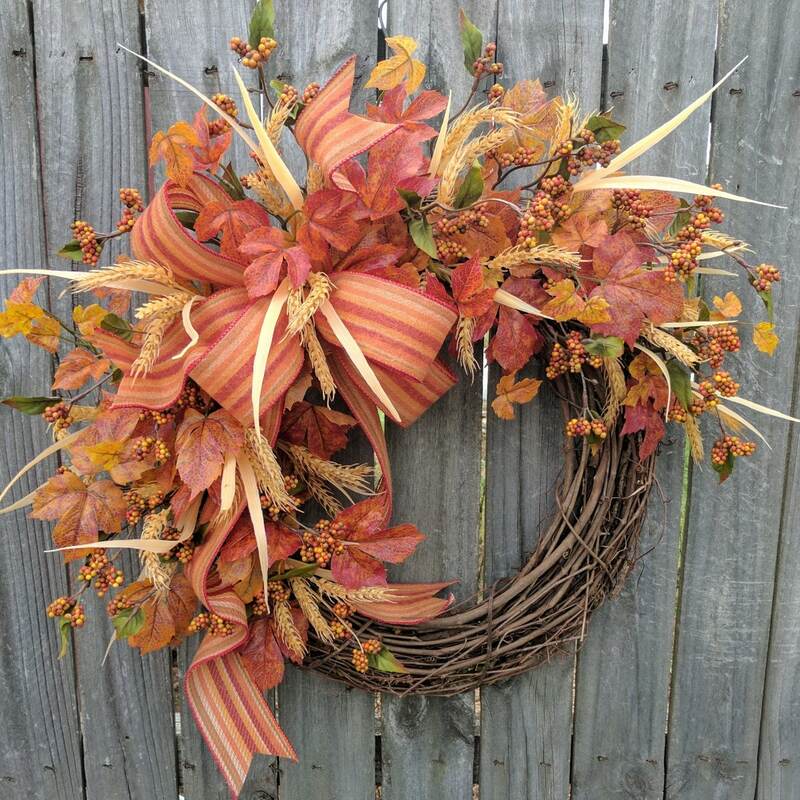 If you purchase multiple wreaths, you will receive a $5 shipping discount on the second item. 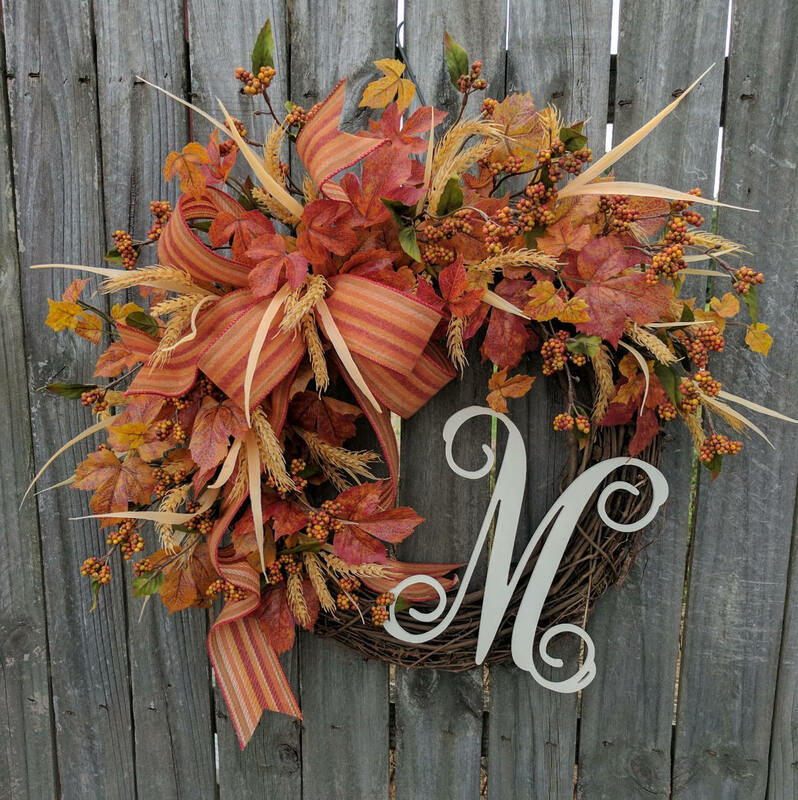 Also, we will make the wreaths as pictured unless you make note during checkout that you would like your wreaths made with opposing designs for double doors.